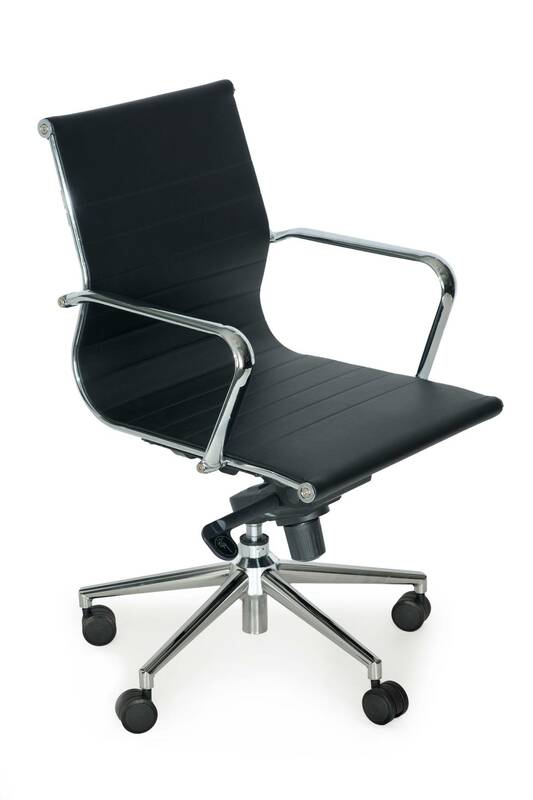 An affordable low back boardroom type chair with a pleasing aesthetic. 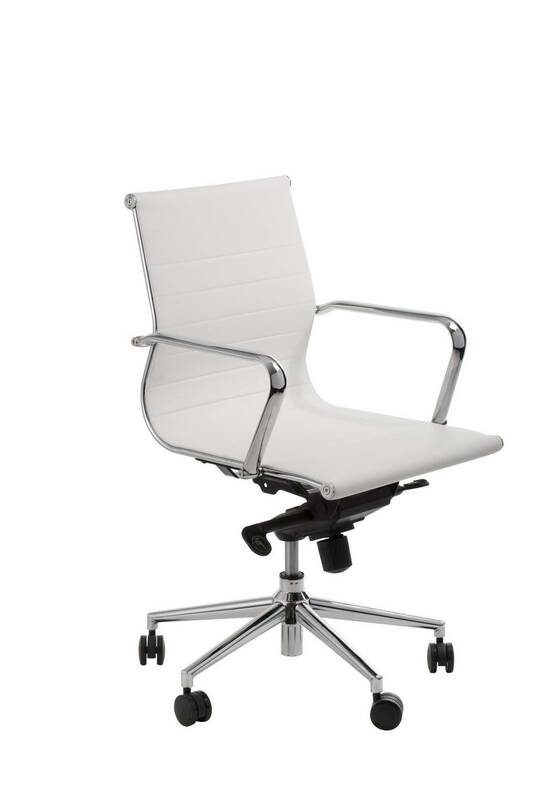 Esto Ribbed Low Back features a modern look with its chrome finishes and double lined leather upholstered back. The large twin carpet castors offer for easy user movement and the height and tilt control adjustments providing ultimate comfort.